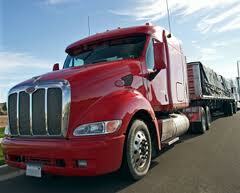 The importance of a thorough investigation after a serious truck accident cannot be overstated. Often, key evidence exists on an onboard computer on the truck and also in paperwork required to be maintained by truck drivers and trucking companies. Investigations sometimes reveal that a trucking company or a specific truck driver did not follow federal regulations and even took steps to circumvent federal regulations with bogus entries on log books and inspection reports. Sometimes the paperwork can reveal warning signs to a company about the condition of the truck or trailer before an accident. In some cases, the condition of the truck or trailer, at the time of the wreck, is determined to be the cause of the crash. Trucking companies are required to keep specific records on their drivers, trucks, and trailers, but are only required to keep that information for a limited period of time. It is important that the attorney for the accident victim contact the trucking company as soon as possible after an accident and demand that the evidence be preserved. One tactic that has been used recently by trucking companies has been to quickly repair the truck and/or trailer, in an effort to deprive the objective inspection of the truck and/or trailer. Sometimes by the time an accident victim has hired an attorney, the truck and/or trailer has been placed back in service, resulting in critical evidence being lost. If you or a loved one has been injured in a truck accident, please contact the experienced truck accident attorneys at Suthers Law Firm, as soon as possible after the crash.